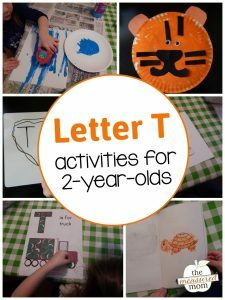 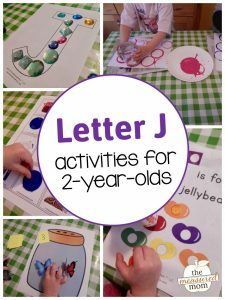 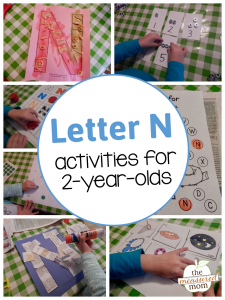 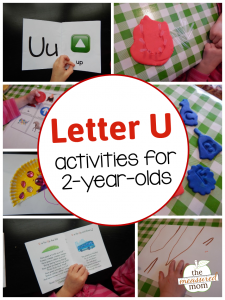 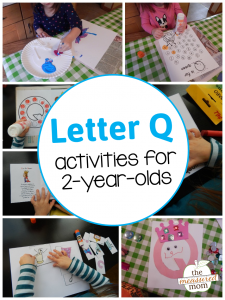 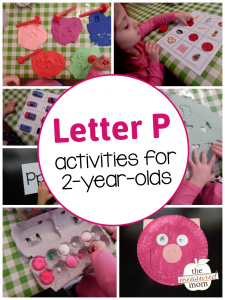 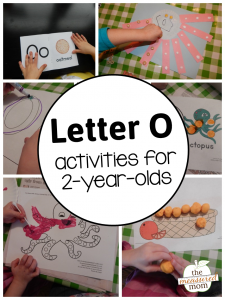 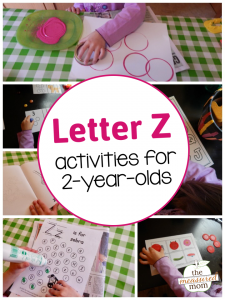 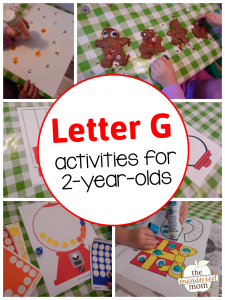 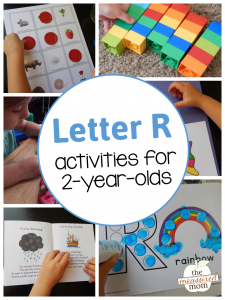 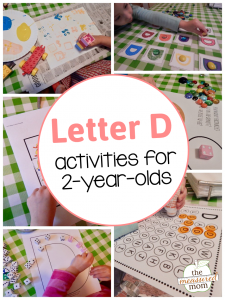 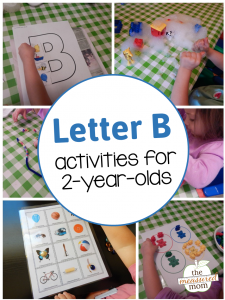 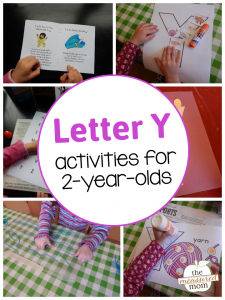 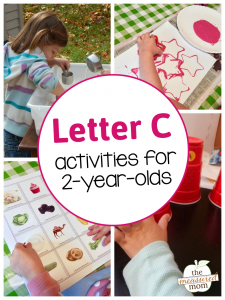 In this series you’ll find playful alphabet activities for 2-year-olds. 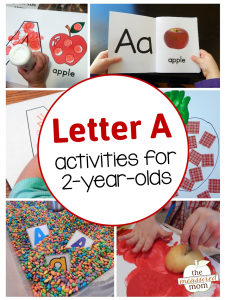 If your two-year-old is showing an interest in learning the alphabet and doing simple, structured activities with you, consider doing a playful letter-of-the-week series. 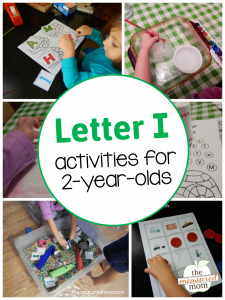 My Two had seen her older siblings do many learning activities with me and was ready for her own. 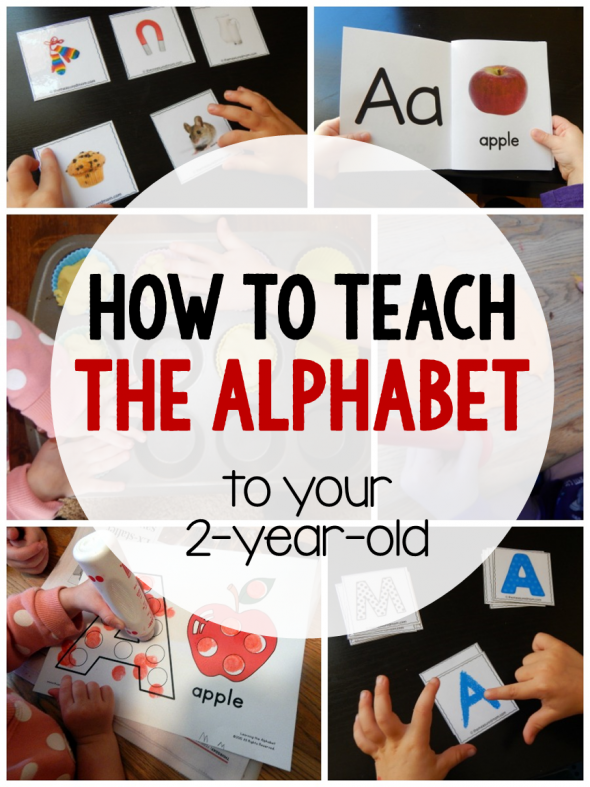 When she started asking, “When is it my turn to do a ‘tivity?” I decided to start teaching her the alphabet. 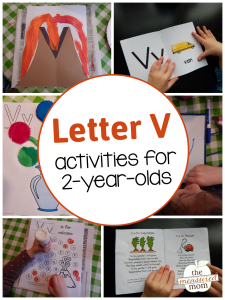 Progress was slow during the first few months, so we spent several weeks on each letter. 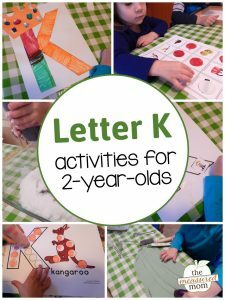 By the time she was 2 1/2, however, her ability to remember the letters had increased. 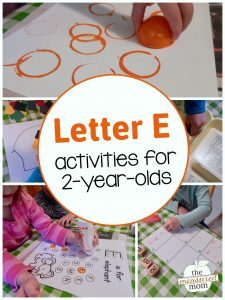 At this point we switched to one letter each week. 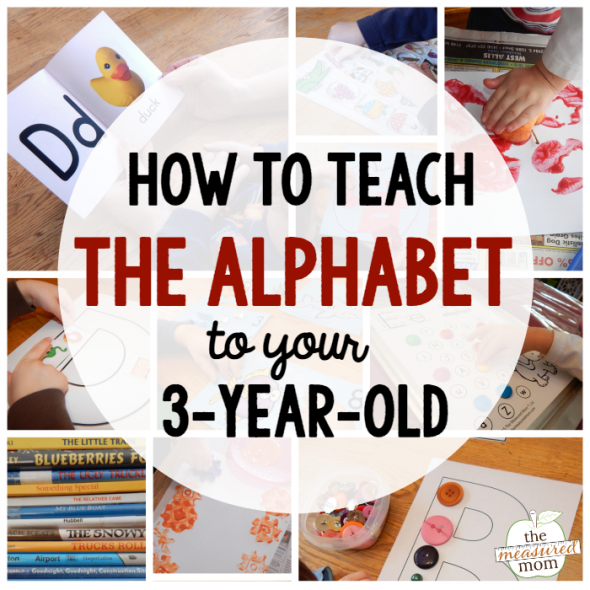 Because of life getting in the way (she has five siblings), we got a little behind some months. 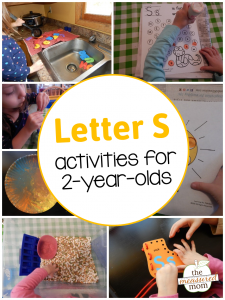 For that reason, we did letters S-Z during the first couple of months after her third birthday. 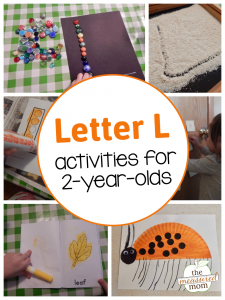 I find my ideas in my printed copy of this ebook. 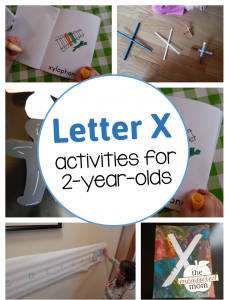 Since many of the activities are too advanced for my Two, I rely on the enormous list of ideas in the Appendix. 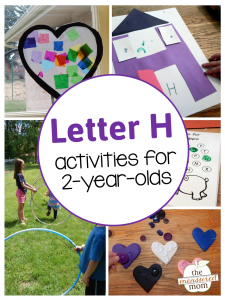 We began with the letters of her name (A, M, H, I, R) and and did the rest of the letters in alphabetical order. 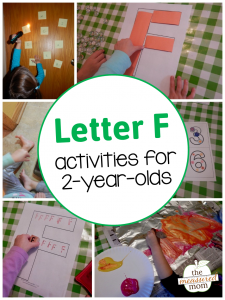 We hope you find some fun activities to try! 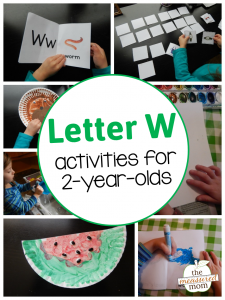 Sign up for our free e-mail series! 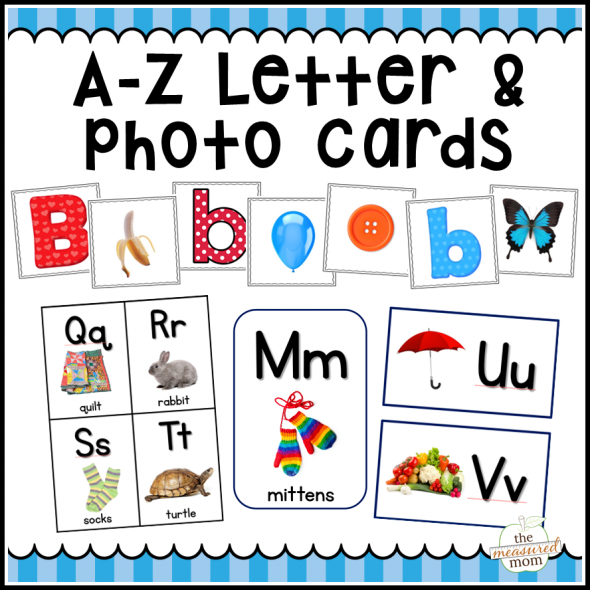 Kids love the bright photos in this pack! 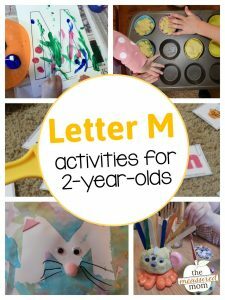 You might enjoy this free series as well. 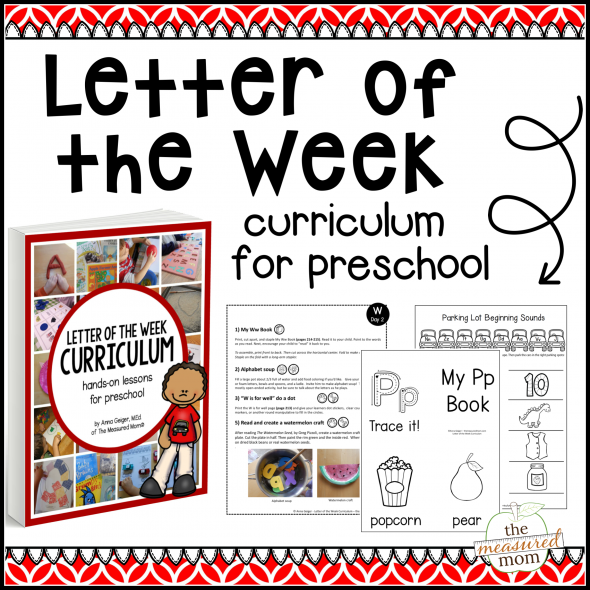 And don’t miss our best seller!